This past weekend seen some very fast swimming from Dolphins Sophia Lee just turned 12 years of age. 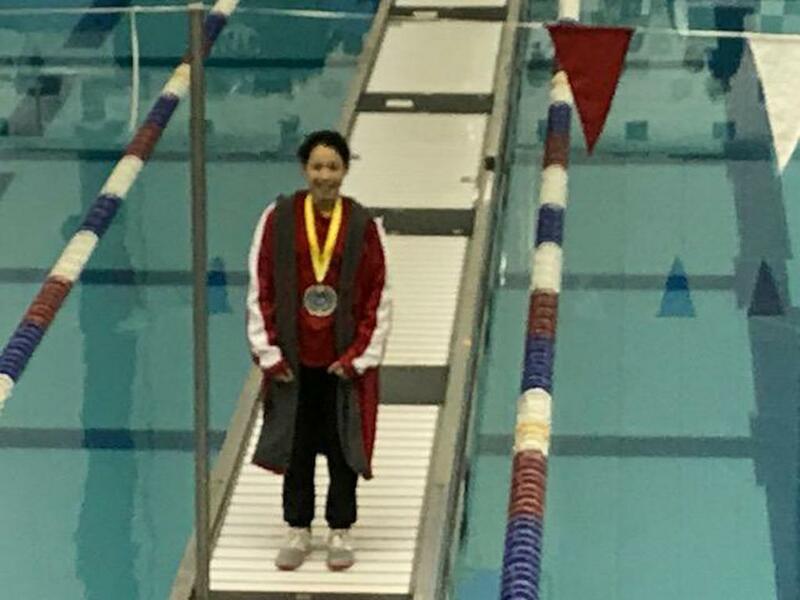 Dolphins Swim Team (Oakville, Ontario, Canada): 100y free (53.33)  Lee, who swims for Team Dolphins in Canada and is part of the Niagara Swimming LSC, won the 100 free, 100 free, 200 back, and 200 IM at the Niagara LSC Short Course Championships. 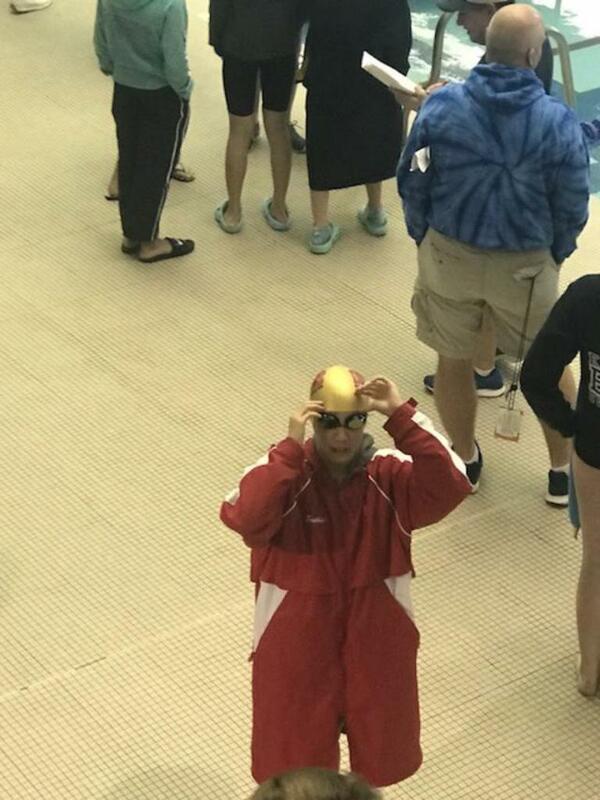 Her 100 free time, a PB by 0.30, ranks #1 in the U.S. for her age group. 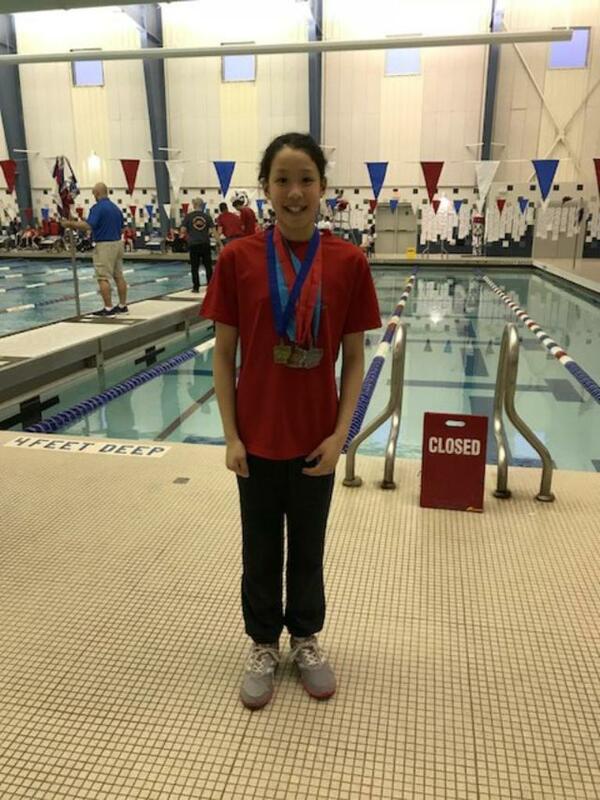 She also earned new PBs in the 200/500 free, 100/200 back, and 200 IM. She is currently #2 in the 50/200 free, and 200 IM and #4 in the 100/200 back; she holds the Niagara LSC record in the 200 IM.